J is for Junk Economics RT — Renegade Inc. Mainstream economists continue, in vain, to try and make the world fit into peculiar models that are based on junk ideas. But there is a cohort of economists who have steadfastly resisted this alternative reality. Their work focuses on re-building the flawed science to reflect the real world. 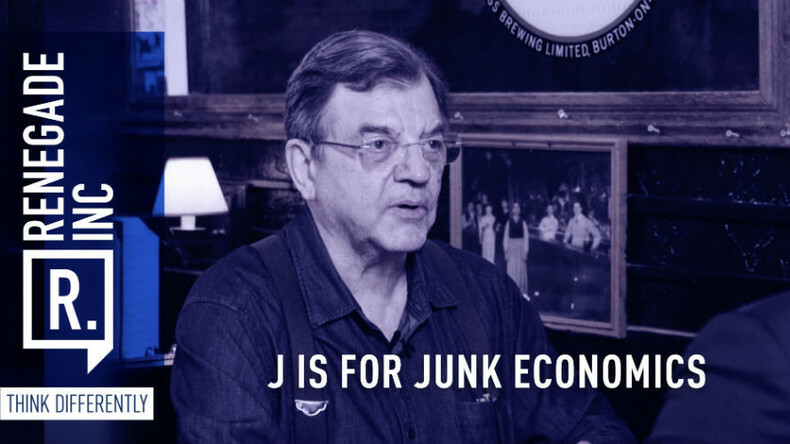 Host Ross Ashcroft talks with economist Michael Hudson in New York, whose latest book ‘J is for Junk Economics’ calls out the Orwellian language and doublethink that mainstream economists have been hiding behind for decades.